Offering you a complete choice of products which include soldering iron for mobile phone. We are recommended amongst the clients for offering a quality range of Soldering Iron for Mobile Phone. The Soldering Iron for Mobile Phone we offer is widely demanded amongst the clients for its sturdiness. These products are suitable for various applications.The product we offer is known for its reliability and quality. Offered products are safe to use and known for their easy installation. Moreover, one can get these products at reasonable rates. 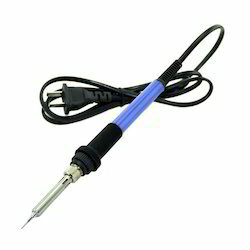 Looking for Soldering Iron for Mobile Phone ?